In New Jersey, when you get hurt on the job at work there are a number of rights that you have. First of all, your employer’s insurance company has to provide you medical care. They get to choose the doctors that you go to, but they pay for all of the care that you need 100%. There are no copays or deductibles. When you are injured on the job, you may be eligible for workers’ compensation. This provides an injured worker with loss of wages and medical treatment. 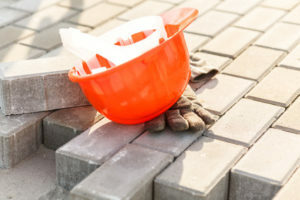 If you are out of work for more than 7 days as a result of your injuries, you may also be provided with temporary disability in addition to your workers’ compensation. It is important to know that when you are receiving benefits through workers’ compensation, you must only receive medical attention through the physicians that your employer or their insurance company provides you with. When you are injured at work and file for workers’ compensation, you must notify your employer so they can notify their insurance carrier and can then file a First Report of Injury. The insurance company must also file a Subsequent Report of Injury within 26 weeks of your return back to work. If you’re out of work more than seven days, you get temporary disability. Temporary disability is paid at approximately 70% of your average salary. Unfortunately, you can’t get 100% of your salary under the current laws in New Jersey. When you’re all done treating and the case moves into court, you will also get a settlement called the permanency award for the value of your injuries and your case will stay open generally for two years after you settle the case in case your situation worsens and you need more medical treatment.